The full whitepaper is available here. If you would like us to feature your analyzer product, please get in touch. Developed by Elecard, this bitstream analyzer comes in trial and full versions. The analyzer currently runs on Windows machines with Microsoft .NET framework installed. To install, download the installer from  and follow the on-screen instructions. The User manual  explains the system requirements. Once installed, start by opening a HEVC file and explore the various features available by using the menu bar in the main window. Figure 1 shows the main window, which includes the frame navigation view, picture view, metadata information, bitstream view and coding unit information view. Developed by Parabola Research, the analyser is available in trial and full versions from their website . The software currently runs on Windows machines only. To install, register with Parabola Research  and a download link to the software installer is sent via email. Run the installer and follow the on-screen instructions to install the software. The user manual is available at . 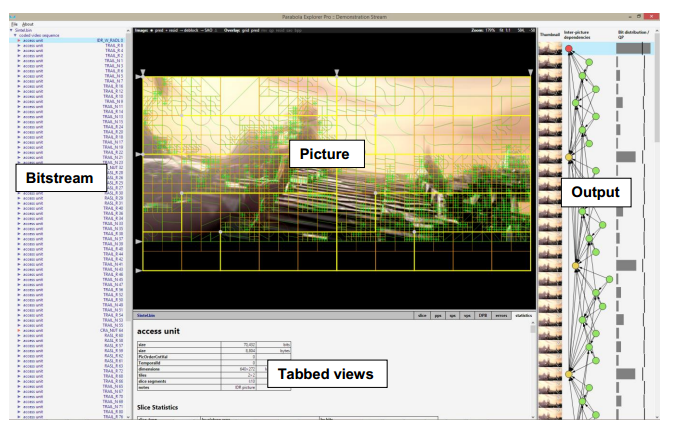 Figure 2 shows the main window which includes the frame navigation view, picture view, bitstream pane and coding statistics pane. 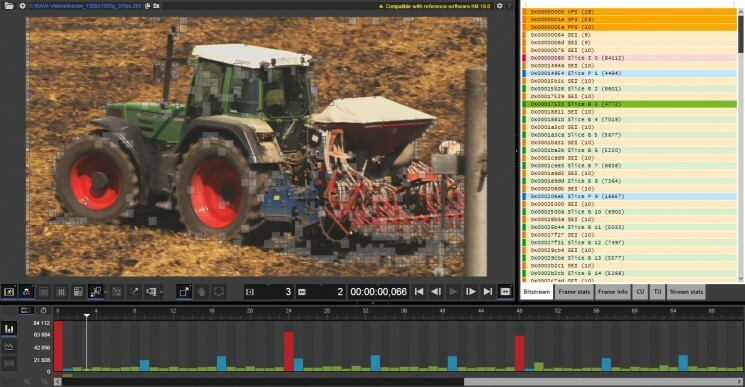 Developed by Solveig Multimedia, the software is available from  and comes in demo and full versions. 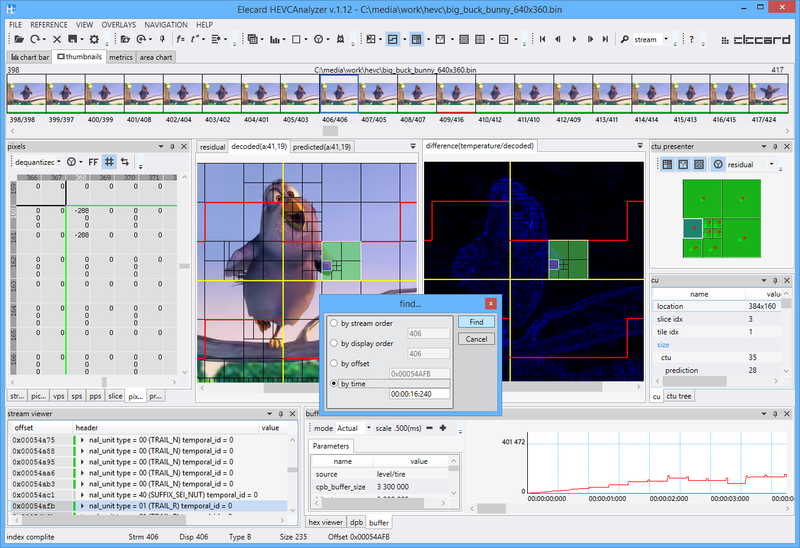 The demo version allows analysis of the first 10 frames per sequence with no time limit. Registration is required to get the download link for the demo version. Documentation and FAQs are available at . Figure 3 shows the main window, which includes picture view, toolbar options, bitstream pane and the timeline window. Find out more about these analysers here.